B. Thomas (Arlington, Texas, United States) on 8 November 2018 in Animal & Insect and Portfolio. 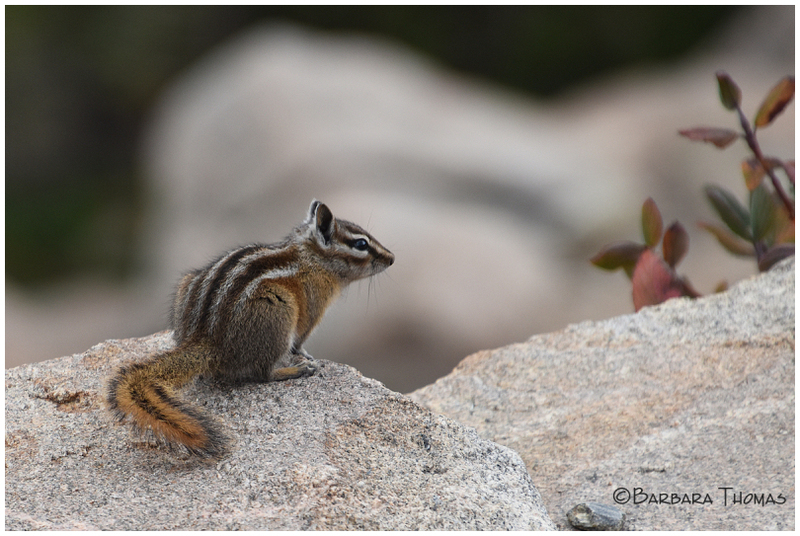 Chipmunks are small, striped rodents of the family Sciuridae, found in North America. Cute and well made catch! Une très belle prise ! J'aime beaucoup ! Cute little rascals, aren't they? Except when they burrow down beside the foundation of your house. We have a couple doing that and despite the eviction notices, they are still there. Quelle vue et rendu gris sur le pelage ces lignée et le roux et le gris de la pierre superbe. WHat a fabulous close up this is! Awesome clarity captured in this close-up of the chipmunk!! I love his pronounced striping. Excellent capture of this cutie! Lovely little creature, sitting and captured well on the rock.